I recently attended a Body Shop party my friend hosted. 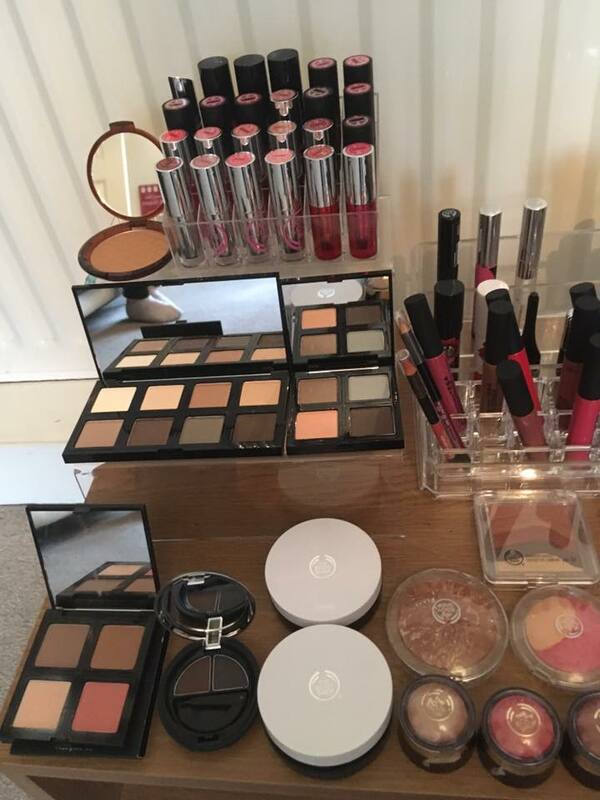 A consultant, Janet, came to my friend's house to show a group of us some makeup products from The Body Shop. 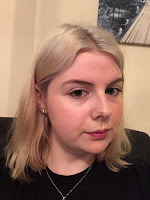 We were able to try out practically everything that The Body Shop offer makeup-wise, doing swatches left right and centre and trying products on our faces to see their effects. As well as this, we were offered a 30% discount on products we bought that night, which I (of course) took full advantage of. 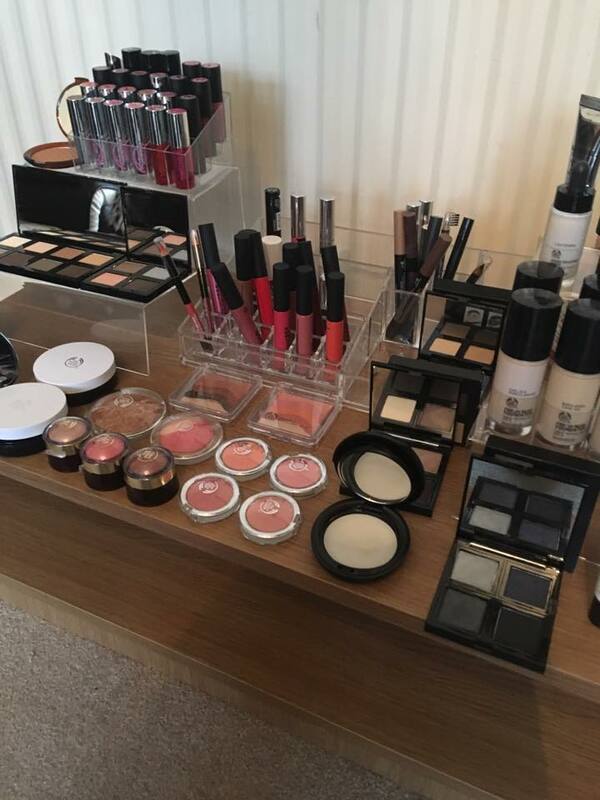 The experience was lovely; it was a very socialable and comfortable environment, and Janet was well-informed and very helpful in her knowledge of the products. To start with, we played a game to make us feel more sociable and kick the night of in a relaxing way. After this, Janet started showing us all the different products for base makeup. We tried out primers, foundations, shade adjusting drops, and concealer. 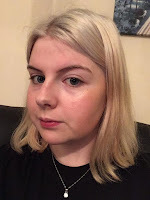 I was very impressed with their 'Instablur' primer, both for all over and specifically eyes. 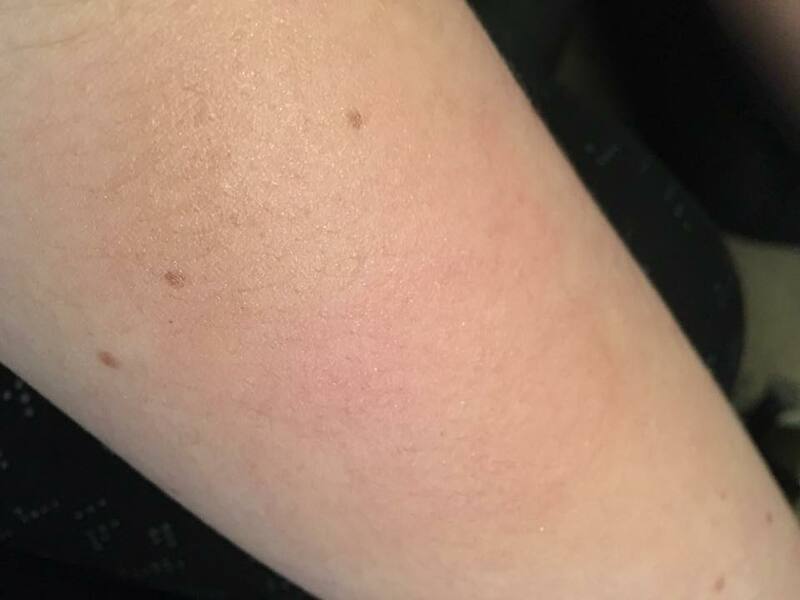 I felt it made my skin feel wonderfully smooth (I actually put it over a spot and the spot felt like it had sunk back into my face it was so smooth! 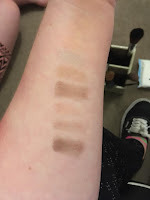 ), and the eye primer practically doubled the pigmentation of the eyeshadow we tried. The foundation and concealer led to my usual problem - I AM A GHOST - but we tried a CC cream that matched me fairly well, but it wasn't a high enough coverage for me. Shade adjusting drops I've tried before and love. You put a few drops into your foundation on the back of your hand to make it lighter or darker if you need to, and it works brilliantly. The concealer wasn't particularly high coverage, but they had an illuminating one with shimmer in it, which is apparently ideal for brightening tired-looking eyes. When we'd finished playing with that, Janet showed us some highlighting domes for highlight, contour, and blusher, and explained how to use each one. When she'd finished explaining, she passed them round for us to swatch, and I was very impressed. On their own, they're pigmented enough without looking clownish, and blended together gives a natural definition that I love. Janet offered an example of contouring with a powder kit, and I volunteered to be the guinea pig. As she was putting the makeup on me, she explained each step carefully, and I understood her perfectly. I now know how to contour, everyone! While her technique was great, the shade in the kit didn't really work for me, but if I find a contour shade I can deal with, I can definitely apply the techniques I learnt. 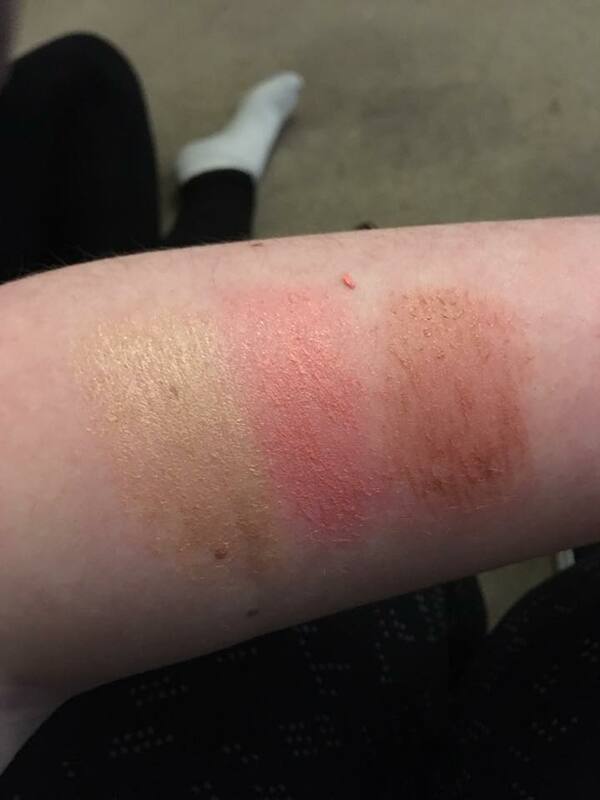 After this we swatched a few eyeshadows. I wasn't that thrilled with them, if I'm honest. 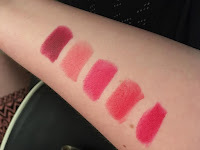 I didn't think they were very pigmented at all, and a lot of the shades were very similar. After seeing the effects of the Instablur eye primer though, I'm sure they'd be much more pigmented using that. However, I don't think you should need eye primer for eyeshadow to look good - Body Shop need a lesson in pigmentation from Morphe! 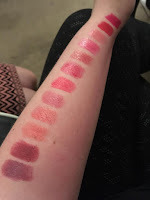 That said, I enjoyed doing my swatches and enjoying the conversation as I did. The next product we looked at was lipstick, and I loved every second. 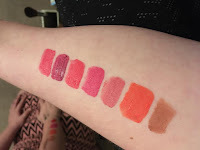 We were shown liquid lipsticks, matte lipsticks, shimmer lipsticks, and lip and cheek tints. I thought the pigmentation of them was very nice, and the matte ones dried quickly without looking streaky. Even the shimmer ones were lovely and bright, and I thought each type of lipstick had a good range of shades (although a few purples or darker nudes wouldn't have gone amiss). I was one happy bunny when we'd finished with this section. Finally, as we were flicking through catalogues deciding what we loved enough to buy, Janet showed us a makeup remover that I fell in love with. It's the chamomile sumptuous cleansing butter and it practically melted the makeup swatches off my arm. Magical stuff indeed. 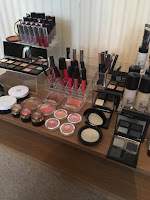 I really enjoyed my experience at the Body Shop Makeup Party, and would love to try the skincare party they offer as well. I even put my name down to find out more about becoming a Body Shop consultant and leading parties like this myself - playing with makeup for money? YAAAAAS! This literally melted my makeup away, I don't even know how to explain it. A little went a very long way (there were eight of us using the pot and we didn't even make a dent), and I felt it was very moisturising on my skin as well. I've never seen a primer smooth my skin as much as this. I'm so excited to receive it so I can start using it. Every little line or lump was smoothed out beautifully. 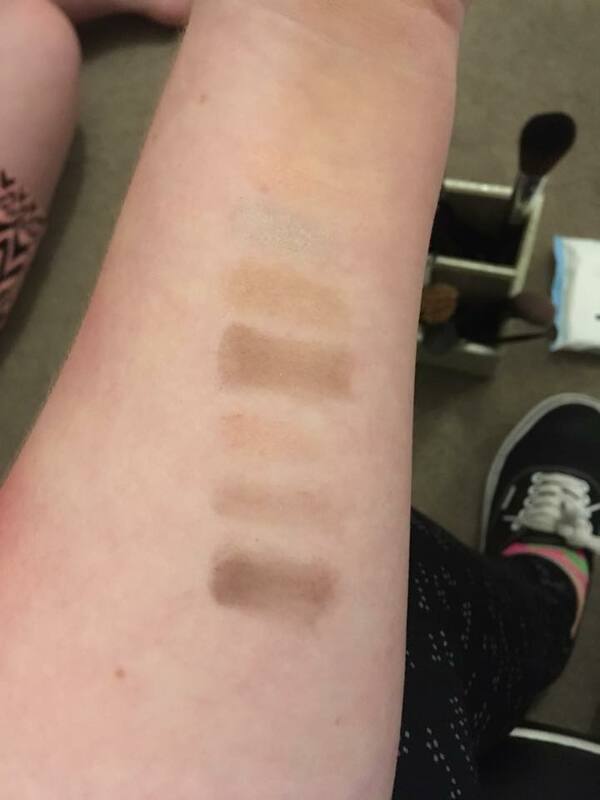 We swatched eyeshadow beside and on top of this primer, and the difference was insane. It doubles the pigmentation and makes the shadow pop. I thought these matte liquid lipsticks were beautifully pigmented and didn't dry slowly or streaky. There was a nice range of shades to choose from and I settled on an orange shade and a deep red shade as well. 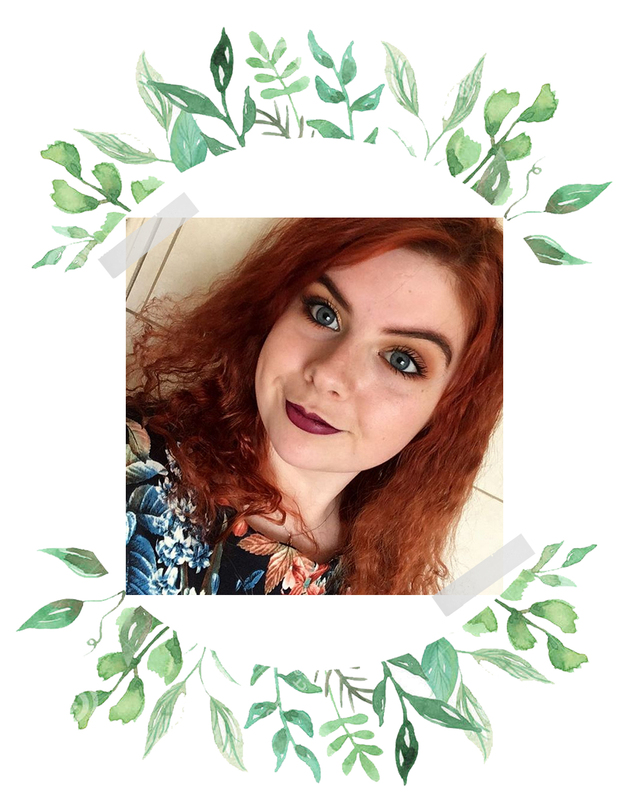 If you are thinking of hosting a Body Shop party, don't hesitate! They're a lot of fun and you get plenty of discounts. Ours was 30% off, and the host gets £25 free. You can find your nearest Body Shop consultant here. 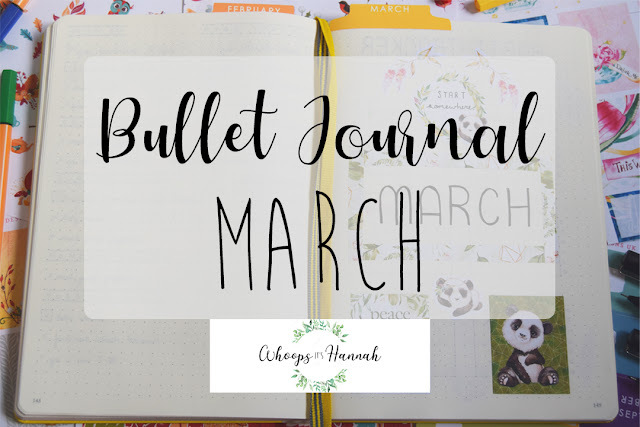 I hope you enjoyed this post, don't forget to follow me on my social media (links in the right hand side bar) and leave a comment!